Recently, the XFL announced its eight franchises. However, the league didn’t say whether sports betting would be introduced. The league will officially launch in 2020. Oliver Luck, XFL commissioner told Darren Rovell of The Action Network that he hopes to make a final decision on gambling by February. During the opening video presentation for the XFL’s eight-city announcement, the league promised it would be “padded roulette.” It turned out that the announcement was mainly to attract sports fans. XFL betting wasn’t the main topic of discussion at the debut event, which took place at New Jersey’s MetLife Stadium. Luck clarified that betting would be more along the lines of providing the league a chance to “drive revenue.” However, right now, only one XFL team plays in a state that allows gambling. The league’s New York team will play at the MetLife Stadium. However, this could change by the time the league launches officially. There’s a Washington, D.C. team, and league officials are hopeful a gambling bill will pass by December 18. This is the last day of the session in which government officials will make decisions on state-specific gambling. After the press conference, Luck spoke to The Action Network about the gambling aspect of XFL. Luck admitted that sports betting is one aspect of the company that Vince McMahon doesn’t have experience in. 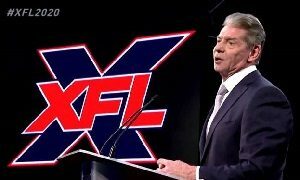 McMahon is the sole XFL backer. 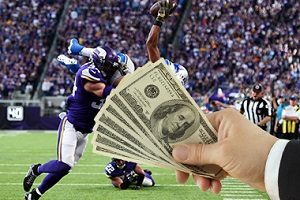 The Alliance of American Football (AAF) announced in September that it was building an in-house gambling product. The product would allow sports fans to bet on games while watching them. The organization is one of the XFL’s new pro football competitors. AAF’s new gambling venture is likely to be a success. MGM is an investor and will be the exclusive gambling partner for the AAF for the next three seasons. Mobile sports gaming for the AAF will be hosted on the Play MGM app as well. Luck shared, “I’m not sure exclusivity is the right way for us to go on gambling.” He shared that he’d likely be making decisions on XFL’s sports betting in February 2019. This date is about a year before kickoff. If it did happen for the XFL, the partner could possibly be DraftKings. McMahon owns a small equity stake in the company. The XFL could possibly have two teams in states where bets can be made legally before the end of 2018. The AAF, on the other hand, doesn’t have a team in a state where gambling is legal. It is also important to note that The Action Network is primarily owned by The Chernin Group, an AAF investor. According to Neilson Sports, betting could bring in an estimated $2.3 billion a year for the NFL. This is largely due to advertising and sponsorship. Even if the XFL sees a fraction of this revenue, it could have positive effects for the league. This is very possible, since sports betting is increasing in popularity. However, for some, it’s hard to believe that anyone but diehard sports fans are betting. Most people who aren’t devoted fans of teams like the Los Angeles Xtreme or the Las Vegas Outlaws wouldn’t wager a significant sum on a Friday night game.